The one-piece swimsuit features an allover zebra print which is unique and chic, adjustable thin shoulder straps to show off your shoulder blades, an open back design which provides adequate tanning, and molded cups to shape your curves. 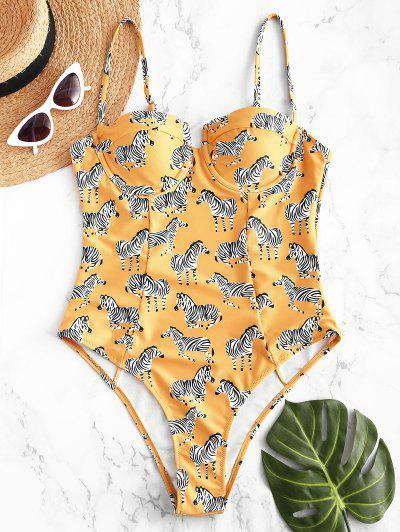 Really cute suit. Not a lot of support but adorable and made well!! #zafulsnap Really cute suit. Not a lot of support but adorable and made well! !